Jack Bongiorno (Marshall White) at 5 Central Park Rd, Malvern East. It was a big crowd but he couldn’t find any bidders during the auction (not even junior ones!) The property passed in on a $4m vendor bid and sold after for an undisclosed price. The market continues to be solid, with the REIV reporting an 80% clearance rate at 6pm on Saturday. Numbers were busy at opens and auctions but there doesn’t seem to be panic on the streets, with most people prepared to wait for the right property. 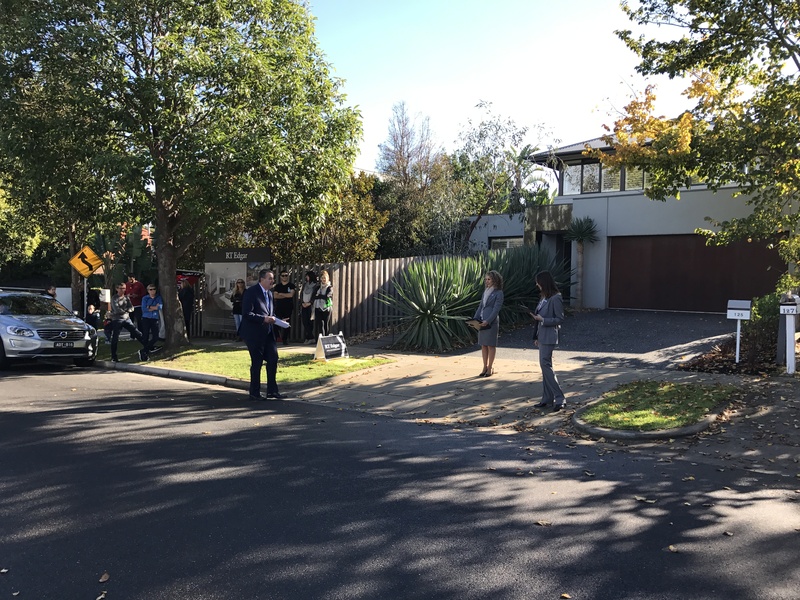 We still saw pass-ins on the weekend (many with multiple bidders), but private negotiations afterwards resulted, for the most part, in successful outcomes for both buyers and sellers. The hottest market at the moment is for unrenovated homes, and we’re seeing premiums paid for these offerings and also good downsizer homes (see below). Unrenovated homes can be a great opportunity for you to buy into your preferred area but there are many aspects to consider beyond location, such as building costs, planning constraints and what are the right decisions to make without over-capitalising. With a registered and practising architect as part of our business, our clients are able to pursue these properties fully cognisant of all the issues involved. Smaller and single-level homes, suited to both the younger couples/families and downsizers, continued to show strong results. Al Craig and Richard Jellis were both present at this auction, with Al conducting proceedings for one of the two big results they had on the day. Standing among a blanket of golden Plane Tree leaves, some as big as dinner plates, I, along with about 80 others, waited in anticipation for this auction. This property is a lovely family home located within one of Camberwell’s prettiest streets, especially at this time of the year. Jellis Craig company founders Richard (Jellis) and Alastair (Craig) were present to achieve a good result for their vendor. Alastair conducted the auction, and looked for an opening bid. Not too uncommonly for a property such as this, a vendor bid was placed and then another in the mid-$4m range. Two bidders opted shortly after and the auction climbed along in measured bids. At $5m, the property was on the market and then sold under the hammer for $5.020,000. 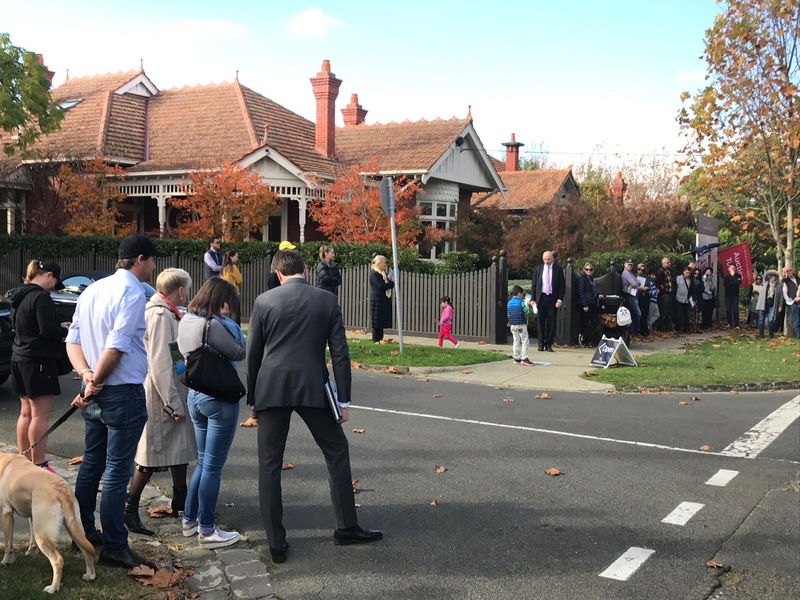 With an unrenovated version of this selling not far away in Victoria Rd in March for around the $4.7m mark, this result tells us that perhaps there is more demand currently for unrenovated homes OR the market could be tempering. 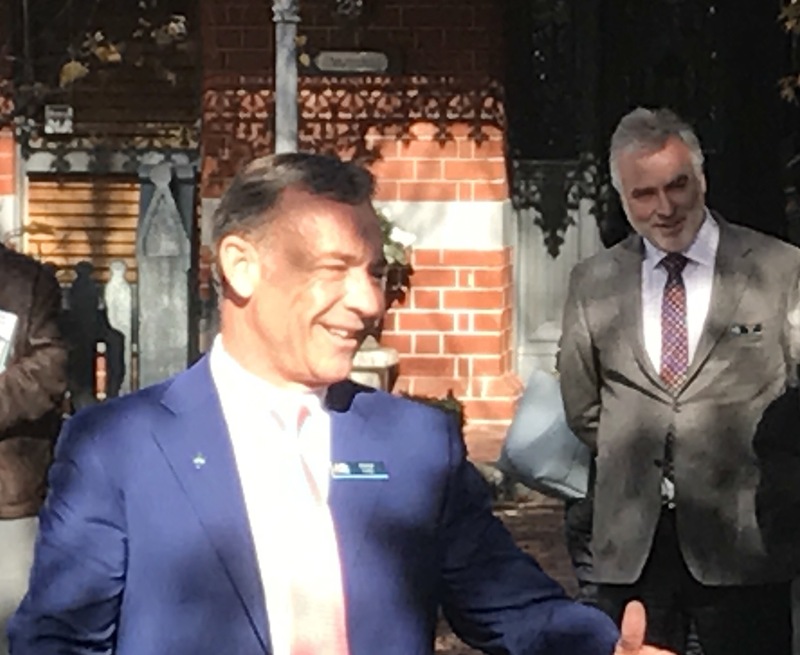 James Paynter from RT Edgar worked the crowd with Rosslyn Mastrangelo at 125 Linacre Rd Hampton to entice a bid from the crowd for this family-focused home. The sun shone through the trees surrounding 125 Linacre Road Hampton and the reasonable crowd gathered on both sides of the street for this RT Edgar auction run by James Paynter. This Inform property was built about 9 years ago with a functional family floor plan. A north rear, as well as a west deck and paved area delivers good entertaining space. The home is getting slightly further away from the Hampton St shops and train station. Perhaps this contributed to buyer expectations not exceeding the opening vendor bid of $2.5m. The property passed in at this level and remains on the market for an undisclosed amount. Agent Opinion: As an experienced agent in the Glen Iris area, how have you found stock levels recently and does there seem to be a greater demand for ‘land’ properties? 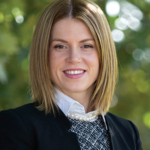 Zali Reynolds, Partner, Marshall White: Supply has definitely been low throughout 2017, particularly for quality family homes in the $2m+ range. This has seen good competition for the few available properties that have gone to auction. This has obviously spilled over into ‘land’ value properties or homes as buyers look at other opportunities to create their ultimate family home. Buyers need to consider all opportunities. If the location is good, consider the possibility of a renovation or rebuild.